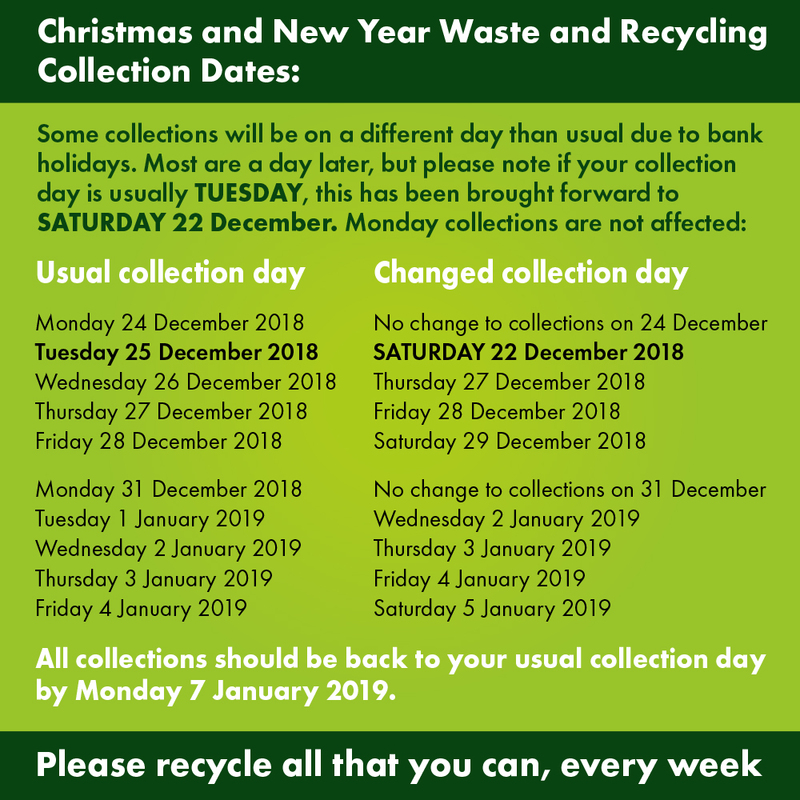 Some collection days will be different over the Christmas period. Most are a day later but if your collection date is usually Tuesday, this has been brought forward to Saturday 22 December. Please see the following to see when your collections are due.